Welcome to Nivennah, the 3-floored city that is home to thousands of people. The top tier, the 1st floor, is home to aristocrats and those with money. Money is power here, and they lead supposedly comfortable lives. But with everyone vying for your power seat, its quite precarious, so the weak fall off quickly. Divided into three Sectors split between the aristocrats, the businessmen, high-tier business, and the quality Labs. The middle tier, the 2nd floor, houses essentially the middle class, from homeowners to businessmen. A nice, quiet-city sort of place, but low security often leads to multiple break-ins and worse. A group calling themselves The Last have recently begun moving outside the repressive laws to protect the 2nd tier, even though such actions go against the peace laws enforced by the Keepers. Divided into four Sectors, with the middle-high to middle class homes, lower-tier businesses, shops, hospitals and religious places. The bottom tier, the 3rd floor, home to the poor and the weak. Here congregate the gangs, the thieves and killers, the human traffickers and worse. The dump and waste pits are also located here, along with what is generally referred to as the Graveyard, a place filled with ancient bones of monsters and men. Orphans from the 3rd and 2nd often wind up here, unless they're taken by the scientists or traffickers, both of which are undesirable. Then there's Outside, a world beyond the tier structures and walls of Nivennaeh. There are many tales and stories about this Outside, but as no one has gone there, or even seen beyond the walls of Nivennaeh, no one knows the truth. no one knows if there is even more to the world than Nivennaeh. So who are you? A man of money living in a position of power, or are you a businessman focused on making a profit? Or are you perhaps an orphan, dodging being a science experiment, or do you play a part in The Last's efforts to protect their families? Do you dream of escaping to Outside, or are you content with your lot in life? This is your journey. This is your story. Quiet and shy. Anna doesn't push herself forward, and does her best to stay under the radar. Even when she's trying to sell her flowers, its difficult for her to deal with people. Flowers are a bit difficult to obtain in the city, so people tend to come to her. She has a big heart, and dreams of escaping her fears and seeing Outside for herself someday. She has an older brother, who she adores. Character Design/Personality: Mischievous and clever, he reminds one of a fox. Comes across as melodramatic, tricky, and a real mischief-maker. His skin is very pale, his hair a dark brown, and his robes a rich rd. His eyes are a light brown. Has a thin, lanky build. Last edited by Wolfsong on Tue Dec 09, 2014 2:23 pm, edited 1 time in total. its about a bunch of characters, who may or may not work together as a team in time, or may only know each other briefly. As for the main stort...that would be for me to know and you to discover. Hey thanks for responding! I'll try and have a character sheet/bio thing whatever ya call it, up within the week, hopefully other people take an interest in this rp too. SharkBiteDynamite wrote: Hey thanks for responding! I'll try and have a character sheet/bio thing whatever ya call it, up within the week, hopefully other people take an interest in this rp too. Okey–doke, we'll see what happens. Will often tell those who ask that her last name is BushMaster or will ignore the question completely. Character Design/Personality: Kannon is kinda a brat and a punk, but what else to you expect from an orphan living on the streets. She tends to make fun of people just to get a good run around, unless they pull out a gun then it's “live to see another day” mode. Not entirely smart, besides the basic street knowledge one needs to know in order to survive. Her clothes mainly consist of a black hoodie with gray sleeves that old and torn from use and whatever the previous own had done to it. Her sneakers were once white now covred in mud and starting to fall apart and she wears a pair of shorts that seem to be two sizes to big and are held up by a home-made, rope belt. While Kannon wouldn't want to be tall she would like to be taller than her current height at 4'10''. 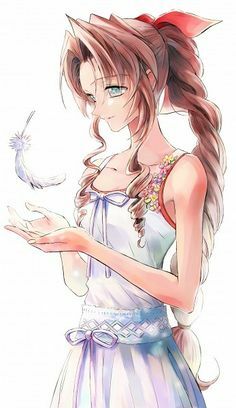 Her eyes are a bright emerald green and her hair is blonde usually tied into two braids with bangs that hang in front of her right eye. If you need me to add/change/subtract anything just let me know. Pretty good, I will answer your questions here. The job is perfectly fine. 3rd floor technically speaking does have sectors, but they're all quite blended together, and no one tries to tell the difference anymore. If you want to know, I can tell you that there are eight sectors. No, the cat won't count as a full character. All in all, quite good. We'll need at least one more person before we can get this going.